Dubai is bucking the regional purse-tightening trend and pressing ahead with at least three big-ticket infrastructure schemes worth about Dh15 billion, in a push to modernise the emirate. Speaking at the Dubai Investment Forum this week, the director general of Dubai Municipality, Hussain Lootah, said that a Dh12.5bn storm water tunnel network project and a new Dh2.1bn waste-to-energy plant were just two of the projects likely to start on site within the next 12 months. “One of the biggest projects we are going to launch, probably by the end of next year, is the deep tunnel,” Mr Lootah said. He added that the project will be developed in two phases. The project involves the construction of two deep tunnels underneath the city with a combined length of 75 kilometres, supported by 140km of sewers and pumping stations. One tunnel will run from Bur Dubai through most of “new Dubai” to a treatment plant at Jebel Ali, and the other will run through Deira, beneath Dubai International Airport, to a treatment plant at Al Warsan. The tunnel depths will range from five metres to 90 metres, and the tunnels could be up to 10 metres wide. This will allow for a train system to be installed that could transport cargo beneath the city during its prolonged dry season. Mr Lootah said that “as Dubai is growing so fast, and so much projects [are] coming, we are facing a problem in accommodating all of these”. He said new projects could all be plugged into this drainage network, which would remove the requirement for the 140 existing pumping stations. 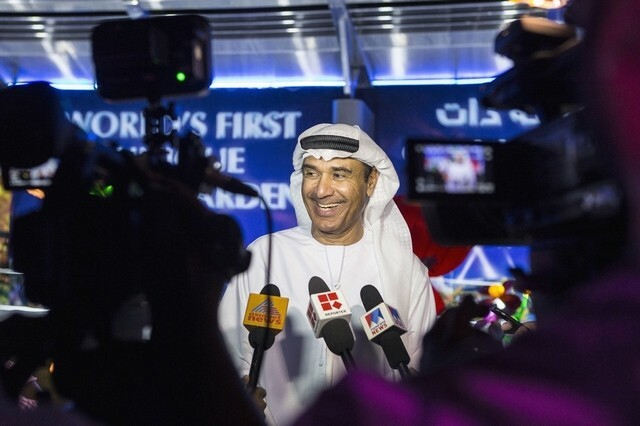 “This project is going to give a service for the city of Dubai between 60 to 100 years coming,” he said. It is likely to take seven years to complete. Mr Lootah also said that work on the waste-to-energy plant proposed for Dubai is likely to get underway next year. “We have the project in tender right now,” he said. It will burn non-organic waste and be capable of generating about 600 megawatts of power. It is expected to be commissioned in the third quarter of 2020. A Dh980m project to convert more landfill gas into energy is also being brought forward. Mr Lootah said the city currently produces one MW of energy from landfills, but that once new facilities come on stream this could increase to 12MW. This project is likely to be completed by the second quarter of 2018. This month, BMI Research upgraded its forecast for the UAE construction sector. It now expects average growth over the next 10 years to be 5.2 per cent per year, compared with 4.7 per cent previously. “Quite frankly, I don’t think it has slowed down at all on infrastructure spend in Dubai. There seems to be a lot of stuff in the market and they are pressing ahead,” he said. Colin Timmons, the chief executive of Al Naboodah Construction, said infrastructure work is coming from several sources, including Dubai Roads and Transport Authority, and from private companies looking for infrastructure to be installed in new masterplanned communities. “I think we’re all thinking if this all goes, there’s not enough contractors in town. There’s a healthy workload to come,” Mr Timmons said.